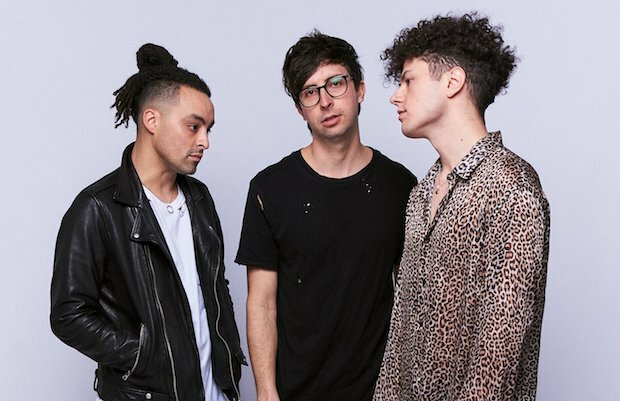 Made up of cousins Jonathan Capeci and Joey Beretta, and more recently rounded out by drummer Nick Sainato, local alt pop group Nightly seemingly sprung out of nowhere in early 2016, achieving viral success with their debut single, “XO,” swiftly landing them a major label deal with Interscope ahead of that fall’s Honest EP. But, of course, no band truly materializes out of thin air, no matter how fast their rise. Nightly’s origins can be traced to vocalist Capeci and guitarist Beretta’s childhood in Pennsylvania, where they found a mutual love for music at a young age, and played together off and on through their teens, eventually dropping out of college and moving to Nashville to pursue music more seriously, at the time with their band Dinner and a Suit. Given how quickly Nightly has eclipsed DAAS in reach, and how their contemporary, synthy sound seems to be resonating so well, the pair’s former group might ultimately prove to be a stepping stone in perfecting their flourishing, contemporary new style, but, as a fixture in the local scene a few years ago, Dinner and a Suit definitely helped tee up Nightly for making all of the right moves in rapid succession. Realizing “XO”‘s broad appeal, the duo self-released the song only to achieve millions of streams at a staggering speed, and between internet buzz and local radio play, they became Nashville’s next “it” band overnight. Thanks to the hype of their EP and resonance throughout the blogosphere, Nightly spent much of the past couple of years on the road, appearing at events like Bonnaroo and SXSW, and sharing the stage with big names such as Ke$ha, The All-American Rejects, K.Flay, and The Struts. After beginning to tease new music last year, the band returned in the fall with a highly-anticipated second EP, The Sound of Your Voice, which continues to fuse their pop accessibility and layered, contemporary, and synth-soaked flourishes, showcasing even more range with everything from earnest, ballad-esque tunes to upbeat, dance-primed numbers. Thanks to their experience with prior projects, Nightly have always had a strong live show from the start, but after a few years on the road really honing what makes this band so unique, and especially thanks to a stellar batch of new material, there’s never been a better time to see one of Nashville’s best breakout indie pop acts in action, and you can do just that tonight, March 31, when they head up a great local pop bill at Exit/In, along with Charli Adams and Phangs– grab tickets for $15 here while they last! Ahead of the show, and on the heels of last month’s “No Call, No Reply,” Nightly just dropped their latest track, “Twenty Something,” on Friday. Produced by Keith Varon and the band themselves, the heartfelt, wistful, mid-tempo single takes on the group’s signature shimmering, synth-soaked, ’80-esque nostalgia, leaving us even more eager to hear what else Nightly have up their sleeve for tonight’s homecoming. Hit play below!